Submitted by boofer6970 on Sun, 2011-05-15 16:11.
sorry i need to coment more - this so called human being is remembered at this time of year - the approaching anniversary of RFK'S assasination. Seeing his smiling face turns my stomach !!! Submitted by AidanB on Fri, 2011-03-04 03:39. Despite confessing to the criminal offense, Sirhan Sirhan maintains that he does not recall murdering Robert F. Kennedy. 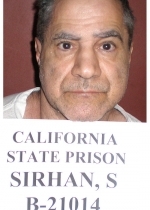 Sirhan was apprehended at the scene by bystanders, who wrestled his gun from him after he had terminated all of his ammo. 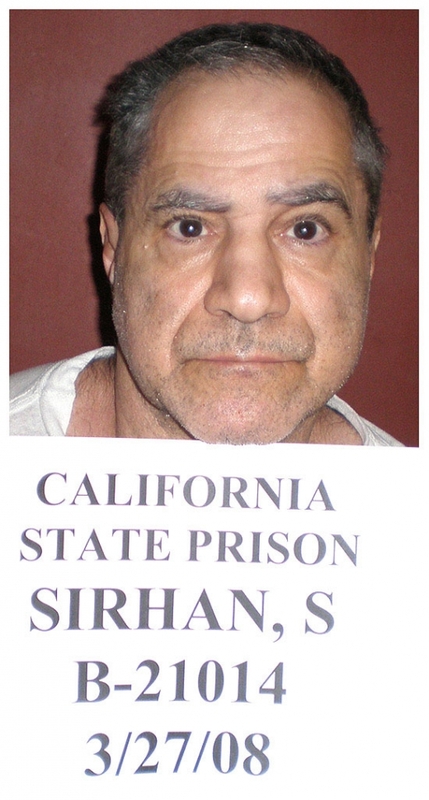 Sirhan's attorney maintains that his client was brainwashed into committing the assassination. Submitted by boofer6970 on Sun, 2010-08-22 19:22.
this picture literally makes me ill !!!!!!!!!!!!!!!!! Submitted by boofer6970 on Sun, 2010-08-22 19:17.
this a hole caused more then changing the 68 election- he is responsibe for all those vietnam causuties. rfk would have ENDED the war on his inaguration day !!! may he live and rot to be over 100 ! and then burn in hell !! !